Acupuncture Needles, See For Yourself! 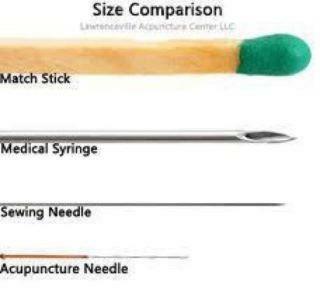 The acupuncture needle is so tiny and thin compared to all the rest. Really, the acupuncture needle is nothing to be scared of.